Whilst there is no reputable scientific research to back up the claims that it is superior to other carbs such as dextrose or maltodextrin, anecdotally many gym users/fitness enthusiasts agree that WMS is superior as they experience greater and a longer musclular pump due to the nutrient uptake. Therefore in light of the anecdotal evidence the best time to consume WMS is during or post workout with other nutrients such as Creatine, Glutamine and Protein Powder. 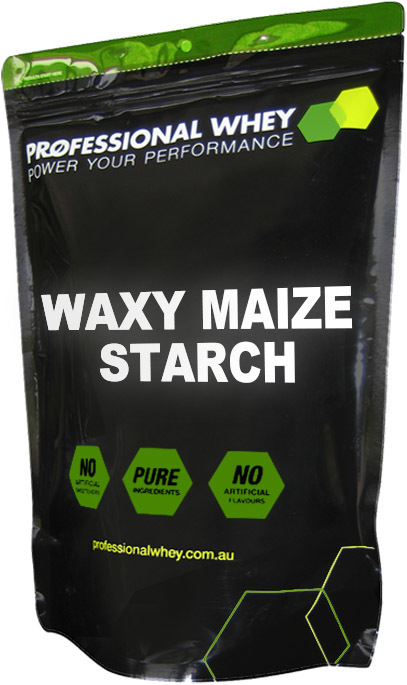 Mix 50g of Waxy Maize Starch (one heaped scoop) into 500ml of water. Goes down a treat in my post workout shake. No digestive upset and mixes great, even with double scoops (100g) in 250ml water - on top of the other supps in there! Professional Whey's WMS is of superior quality and is very competitively priced. I like this product - it hasn't got all the additives of the previous brand I used. The price is hard to beat and I am getting results from my gym work. This Australian company has the goods. I work a physical job and I'm 196cm tall. Combined with training my body requires all it can get for keeping up with the high demands. This product has been great in helping me put on some size. 100% recommended! I mix half scoop of waxy maize, half scoop of malto and one scoop of select NZ WPC as my pre and post workout drinks. I use this mix as it doesn't get too sugary as a full scoop of malto. Personally it gives me the energy to get through my workout and recovery. I don't personally like sugar at all, so I've never been comfortable with downing large amounts of dextrose/sucrose post workout. The insulin spike it gives is, in my opinion, not only unnecessary but also quite uncomfortable to endure. I personally find the WMS to digest quick enough to get into your muscles and replace the depleted glycogen helping speed recovery, without messing with your insulin levels. Choosing the right drinkable carb will come down to personal preference I think, but for me it's working great. And it's really not much more per KG compared to Dextrose/Maltodextrin. 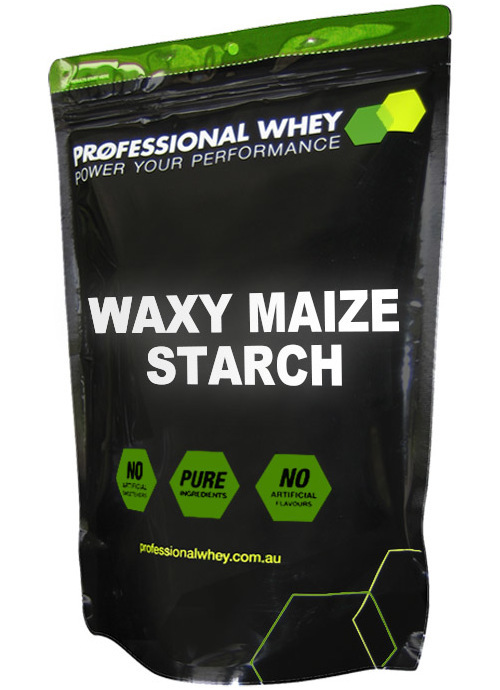 I have been using "Waxy Maize Starch" on my pre & post workouts and found it to be very good. I got better overall recovery and I did put on quality muscle. I also didn't experience any water retention or bloating. Highly recommended!!! GIve this one a go instead of the Dextrose or Maltodextrin as an alternative and see what works best for you. I add this one to my post workout shake and is not as sweet as the prior mentioned. Just resumed heavy weight training again and found that it does make a difference to recovery and putting on the muscle faster. Again, buy in bulk and save !